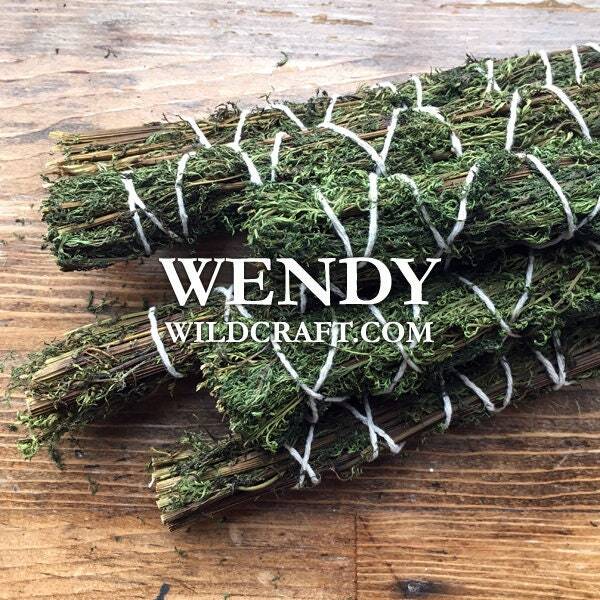 I made these aromatic herb bundles with organically grown sweet annie (Artemisia annua). All sizes are approximate. To use a smudge stick light the end, gently blow out the flame when you feel it's good and lit. Slowly wave the herb bundle in circular motions as you move around the room, person, or object. Use a fire safe dish to catch any fallen ash. When you are done extinguish your herb bundle by tamping it in a fire safe bowl. 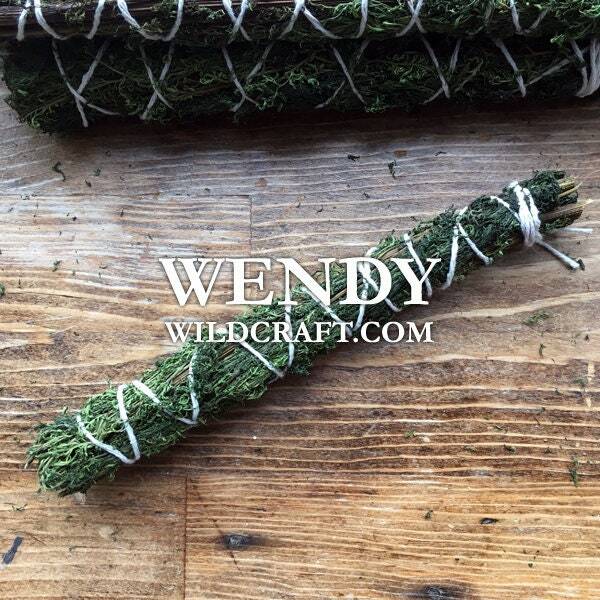 You can also cut this herb bundle and use it as a loose herbal incense over charcoal. Sweet Annie is also known as sweet wormwood.